Course for Williamson , Travis, and all Texas Counties. 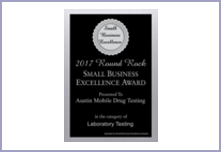 Austin Mobile Drug Testing provides Texas State-Approved DWI Education classes, DWI Intervention (Repeat Offender), a Drug Offender Education Program (DOEP), as well as a DWI class in Spanish. Classes are held here at our Round Rock location. Our classes satisfy requirements for education because of a suspended driver's license or a Court-order. The Drug Offender class is for individuals with a misdemeanor or felony drug offense or pending offense. DWI education classes are a requirement in Texas for any person convicted of a first or two or more DWI offenses. 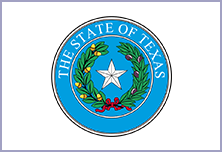 DWI and Drug Offender classes can be taken pre-trial and all participants will receive a state-issued certificate of completion needed for reinstatement of their Texas driver's license. No Mandatory Drug Testing to Attend Classes. 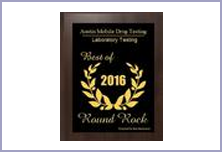 WE DO NOT DRUG TEST during Drug or DWI Classes unless requested by you. Your registration is not final until Payment is made and you have read and accepted the Class Policy. 1. Choose your class below and register online or in-person. 2. 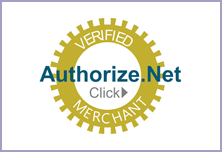 Make your Payment one of three ways: Online at the Gateway Payment Page (Credit or Debit), over-the-phone at (512) 507-5983 (Credit or Debit), or in-person at our Round Rock location (Cash, Money Order, Credit, or Debit). 3. Read and Accept the Class Policy. PLEASE ARRIVE 30 MINUTES EARLY TO YOUR FIRST CLASS. A class packet must be filled out prior to the start of class. Students must bring Drivers License/Photo ID, Cause Number, and know the basic information related to their case (if applicable). 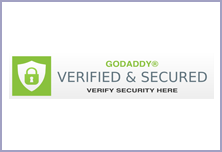 Registration at our office takes up to 30 minutes and can be done at time of payment. You must bring Drivers License/Photo ID, Parent or Legal Guardian must accompany minors 16 and under. Fill out the form below to register for your class.